A promoter of open society values, Alex Soros graduated from New York University in 2009 with a BA in history and received his PhD in 2018 from the University of California, Berkeley. 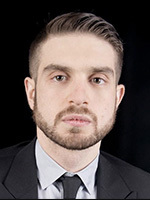 Alex Soros is the Deputy Chair of the Open Society Foundations, an organization that works to build vibrant and tolerant societies whose governments are accountable and open to the participation of all people. Mr. Soros is also the founder of The Alexander Soros Foundation and the Founding Chair of Bend the Arc Jewish Action. Mr. Soros received his Ph.D. in 2018 from the University of California, Berkeley where he wrote his doctoral thesis work of history and philosophy, Jewish Dionysus: Heine, Nietzsche and the Politics of Literature. He was a Post-Doctoral Fellow at the Hannah Arendt Center for Politics and the Humanities at Bard College, an Honorary Fellow at the Institute for Advanced Study at Central European University in Budapest, and a Visiting Fellow at the Institute Für Die Wissenschaften Vom Menschen (IWM) in Vienna. Mr. Soros’s writing has appeared in The New York Times, the Guardian, the New York Daily News, Reuters, Politico, the Miami Herald, the Sun-Sentinel, Place, the Forward, and the Sür International Journal of Human Rights, among other publications. Press Release: Filipino Indigenous Rights Activist Rene Pamplona is the recipient of the 2018 Alexander Soros Foundation Award for Environmental and Human Rights Activism.